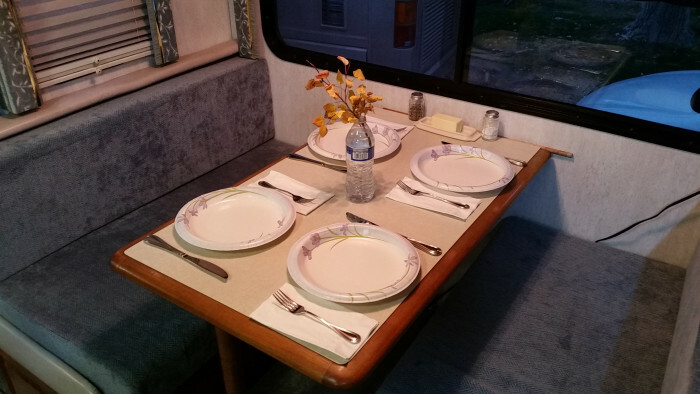 Ask fellow campers about "Lakeside RV and Campground" and nearby attractions. What a great park with tree-lined camp sites. Long pull thru sites for my 60' of RV plus car hauler trailer. Easy to navigate interior roadways. Graveled sites with FHU, 50A/30A and cable TV. Internet is also provided, although, signal strength can vary inside of park. Laundry and bathrooms with showers are also provided. The office staff are super friendly. 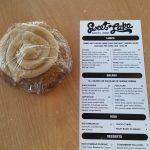 The office also stocks many camping necessities and food, drink and snack items. The sites have neighboring sites with services in the center of the two sites. For some, the space between sites might be a little too close, but your patio is on opposite sides with plenty of space. Picnic tables are provided with a grassed patio area. The park is close to Provo amenities for shopping and restaurants. Tourist amenities are close by as well. This is the second time we have stayed at this park and would stay here again whenever in the area. Park is clean and quiet. A pool is also available but was closed for the winter. A playground and dog park are also available for human-babies and fur-babies! A full time resident of the park has a mobile RV service and wash/detail service he provides for a fee. I have seen his work, very impressive!! We camped at Lakeside RV and Campground in a Motorhome. Easy entrance and exit. Propane can be refilled at this park. Emailed us confirmation and when we arrived, everything went smoothly and the office Staff were excellent. Friendly and helpful. Site was level and easy to get into and out of... even with the TOAD hooked up. Plenty of length to the site to stay hooked to TOAD if you wanted too. Sites were close together... but not too bad. Site F-3 had a nice shade tree... but too close to fully extend awning. The park is older... but lovingly maintained. It has excellent access to I-15 North and South. We found the park very quiet and would enjoy staying longer next time and exploring around the Salt Lake "Utah Valley". We camped at Lakeside RV and Campground in a Motorhome. We had the Sunroof blow out of our 2019 Jeep Cherokee... so had to run into Salt Lake to Salt Lake Valley Chrysler Dodge Jeep Ram and the dealership if you are on the road goes out of it's way to help you. 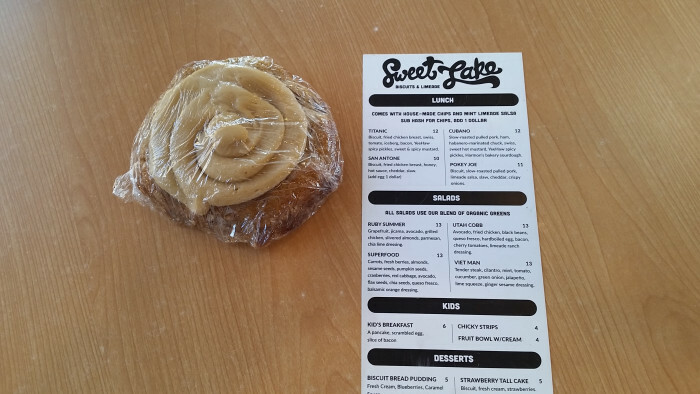 Had a great Lunch in Salt Lake City at "Sweet Lake Biscuits & Limeade"... was really a Foodie "Hoot" and worth the trip. This is a well-maintained older park, nicer than a lot of commercial parks. It has lots of trees, a walking path along the Provo River, and a fenced area for dogs. It's walking distance to Utah Lake State Park, which is great for fishing and boating. (Despite its name, the campground is not on the lake.) Sites are gravel and level with grass and trees between units. The WiFi is poor. We camped at Lakeside RV and Campground in a Truck Camper. The storage facility across the road has a huge collection of old gas signs and pumps and other automotive memorabilia. Fun to look at. Stayed in a pull through in our motor home. VERY tight spaces. At this park two folks share the utilities from a common utility box. If there was wifi, the person checking us in failed to provide the password, as it stated it required one when we attempted to login. No password on any of the paperwork provided. To top it off this park is only 2 miles from I-84 and not even 4 miles from downtown Provo and our Verizon service was 1G. If my wife set over by a window she could get one bar 4G on her phone, but the moment we tried using it as a hot-spot it dropped to 1G. We had just stayed the day before in Mt. Home Idaho at a campground that put most campgrounds to shame with what they provide, including this one, for $37/day. It had everything. What a shame others cannot be like Mt. Home. I would not want to stay at Lakeside RV again. It would have to be an emergency situation of nowhere else to stay. We camped at Lakeside RV and Campground in a Motorhome. We enjoyed the woodsy atmosphere of this park. Our two small dogs especially liked the manicured grass areas to romp on and the walking path along the creek at the back of the park. The office and maintenance staff were polite and friendly. Space between sites is indeed tight... our rig's slide out was a few inches from our neighbor's. Careful maneuvering can be required to get into some of the sites, but we had no problems getting in and out of our pull-through site with a 38' 5th wheel and long-bed tow vehicle. Water pressure was 70psi and voltage was good. We'll definitely stay here again when passing through. 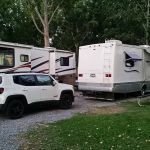 We camped at Lakeside RV and Campground in a Fifth Wheel. This is an older campground. Lots and lots of mature trees provide plenty of shade, but not too good if you have satellite TV. Hook-ups for two sites are located in one place...so rigs are alternating nose and tail which means you look out your front door into your neighbors front door. And the sites are really close together. All sites are gravel with a small strip of grass under the picnic tables which are basically end to end. Interior roads are paved, but tight for bigger rigs. We had to ask a new neighbor to move his vehicle so we could swing our 38-ft 5th wheel into our site. Lots of trees makes for lots of debris on the ground. All in all the place could use quite a bit of maintenance and up grading. It's about 2-3 miles off the freeway so it's relatively quiet--except for the occasional plane landing at the airport across the street. We just overnighted there so we have nothing to add in the way of things to do and see. As long as your expectations aren't real high, it's a good place for an overnight. We'd stay there again. We camped at Lakeside RV and Campground in a Fifth Wheel. 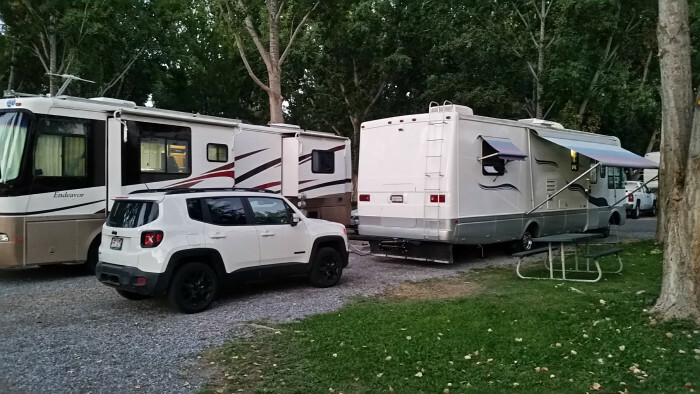 Arrived on a hot day, had called ahead and was assured there would be space for our 28' RV with tow car and sure enough they placed us in the back of the park and right next to their portable bathroom/shower which as clean and cool with A/C. We camped at Lakeside RV and Campground in a Motorhome. Beautiful, well maintained park-like setting with lots of shady trees. Roads are a bit tight for access to the sites, but once parked, ours easily accommodated our 38' MH and slides, without disconnecting our tow. Far enough from the interstate to avoid any noise but easy access to the park. Smooth check-in. We camped at Lakeside RV and Campground in a Motorhome. Pretty good park with numerous full-timers. Lots of older trees providing shade and dead-fall that was promptly picked up by staff. As previous reviewers mentioned, there are a lot of mosquitoes... but they seemed to stay either in the grass or bushes and not our rig. 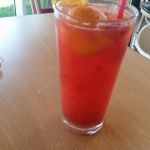 The staff was very polite and accommodating. We will stay here again if in the area. We camped at Lakeside RV and Campground in a Motorhome. Beautiful park but WAY too many mosquitos. There were literally trillions of mosquitos. They need to spray. Reserved an end spot in advance but they gave it away saying there was an electrical problem that would not be fixed for 5 days (our entire stay) and put us in another spot where we had to share our front yard with the neighbors that came and went daily. Women at the front desk was very rude when we questioned her about the spot we reserved by saying in a nasty tone that they reserve the right to change our spot if they so choose. The spot we requested was rented several times while we were there to over nighters. We had asked if they could move us there in the event the electrical issue was resolved early but they they refused making up more excuses. One of our neighbors with a class A broke off a large tree limb trying to get in the space. We were forced to drive over a small piece of grass under that tree to get out due to the spot being so tight. WiFi did not work at all in spot G6. There are many old run down rv's in the park that appeared to be residents. There were also a lot of dog piles around that were not being picked up. 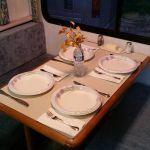 We camped at Lakeside RV and Campground in a Fifth Wheel. This place is great for a stop overnight. The staff is friendly. The grounds are fairly clean(amazing trees!). As others mentioned there appears to be a lot of full-time residents and their trailers are pretty obvious. The spots offer enough room but it is tight. We have a 43' class A and parked no problem but I wouldn't call it "plenty to room to move around". The spots have you sharing a common area with whomever is next to you. That is fine by us but it is worth noting since that is different than most parks. There is an airport across the street but it is a complete non-issue. A couple of Cesna's may take off from time to time. I wouldn't hesistate to stay here again, just don't expect a luxury park. Instead, expect friendly staff and a lush setting with everything you need to be 100% comfortable for a night or two. We camped at Lakeside RV and Campground in a Motorhome. Stayed overnight. Staff was excellent with a lot of good advice. Spot was level gravel. Plenty of shade. Is next to the airport, but was not awaken at all during the night. Internet worked well. All utilities worked fine. 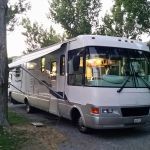 We camped at Lakeside RV and Campground in a Motorhome. This is a nice park on the outer edge of city near the lake. The state park nearby was closed due to construction. It is neat and clean with level gravel sites and good HUs and cable. 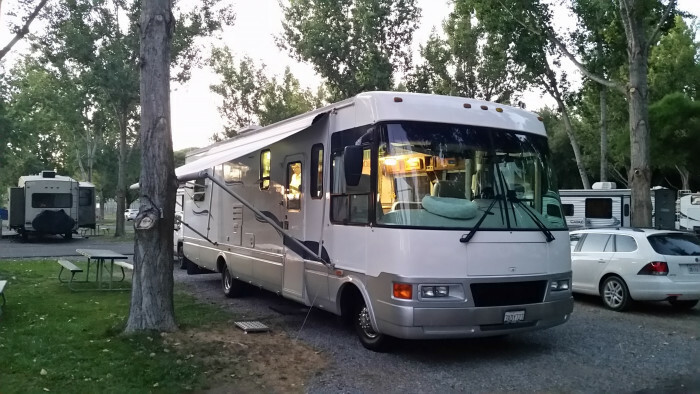 As others stated the sites are side by side HUs with little room between them but grass area on passenger side .We stayed here for 2 weeks while my wife had medical treatments in SLC. We checked other parks closer to SLC but they were either full or much more expensive. We did have to change sites when we extended the second week. We were able to get wifi on site H3 but on G6 other rvs blocked the signal. There is a nice walk area on the other side of the river which is available about a block down the road. Interstate is about a mile away and Provo airport is nearby. Laundry $1.75 wash or dry very clean room. Staff was nice and tried to accommodate. We would stay there again. We camped at Lakeside RV and Campground in a Motorhome. This is a mixed review solely due to electrical issues. Since hopefully they are correcting that, I'm rating as if all were fine. Let's start with the positives. Good, relatively level sites with convenient hook ups. The CG looks to be a mix of short term folks like us and seasonal residents. The upkeep is very good. The showers were excellent and the rest rooms were clean. Lots of shade (for Utah) and very quiet at night. Our issue (and the site next to as well) was that overnight (both nights we were there) the voltage spiked such that our surge protectors turned off power to the RV's to protect the electronics. The highest reading I saw was 138 volts. Now I don't know what that would do to my internal electronics, but I presume the surge protector shuts it down at over 132 volts for a reason. The maintenance folks were looking into it once I brought it to their attention (other than my neighbor, I didn't see any surge protectors in use by other campers). They said the power company was supporting nearby construction but that they shouldn't be getting more than 130 volts. He checked with a voltmeter and got the same reading as my unit, so it wasn't my surge protector. I was only there two days and I know they were contacting the power company to check it out. It was cool enough that we didn't need the a/c, so no big deal, but heat is coming soon . . . We camped at Lakeside RV and Campground in a Travel Trailer. Small secluded park with many perimeter shade trees. This was just a one nighter for us however would have been fine for a longer stay. Many grass areas for dogs to meander through including a fenced grassy dog run. RVs park in the opposite direction if each other which can make for a tight fit but we made it work. All in all a nice little park and we would stay again. We camped at Lakeside RV and Campground in a Motorhome. Boat launch at Utah Lake is a quarter mile beyond the entrance to the RV park. Fuel may require a drive back north 3 or 4 miles and the price was the same everywhere. Road construction in the BYU area made traffic pretty bad there. Nice paved trail a short distance away. Close to Costco, Walmart, Camping World and just about anything else. Utah Lake State Park is just down the street (within walking distance). Space to park my car was a short walk by office and pool area. My site was long enough for my RV and trailer with no room left to park my get-around-town car. Not an inconvenience for me. Sams Club, large shopping mall, and movie theater within 10 miles of park. Costco, Walmart and another large shopping mall within 15 miles of park. The city of Provo has a Recreation Center that is unbelievable. Has both indoor and outdoor swimming pools, kids water slides, activities, lazy river, full gym facilities, indoor track and much more. They charge $5 for adults and $4 for kids for the day. If going to Salt Lake City avoid rush hour around 4pm during the week. Lots of big box stores within 15 miles. No fires allowed, but they sell firewood??? BYU campus and art museum on campus. Restaurants in downtown area. Unita National Forest. Visit Midway and Heber City. Close to mall,food everywhere super Walmart near. If you're here on a Sunday, plan to cook at home. 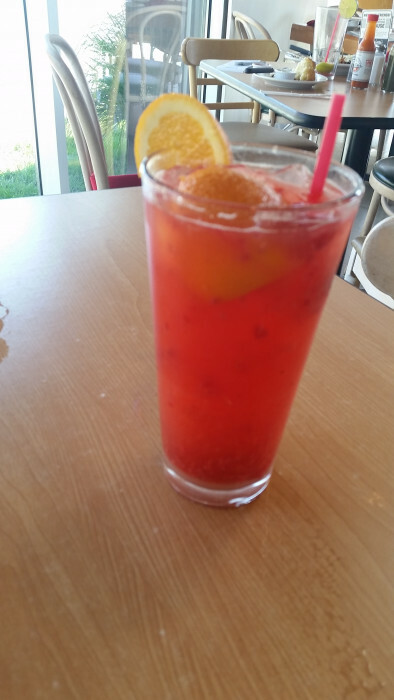 Provo restaurants are not open on Sundays. There is a small airport nearby, but the noise is negligible. Very close to Provo and Orem, with good shopping. The oldest yarn shop in the United States is on Center Street. Owed and operated by the same family for three generations. It is worth a stop if you are a yarn fanatic. 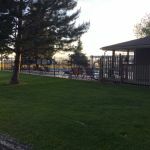 You may also want to check out the campground at Utah Lake State Park, which is just a little farther down the road and seemed nice enough, at least in the low season. Are you affiliated with Lakeside RV and Campground ?